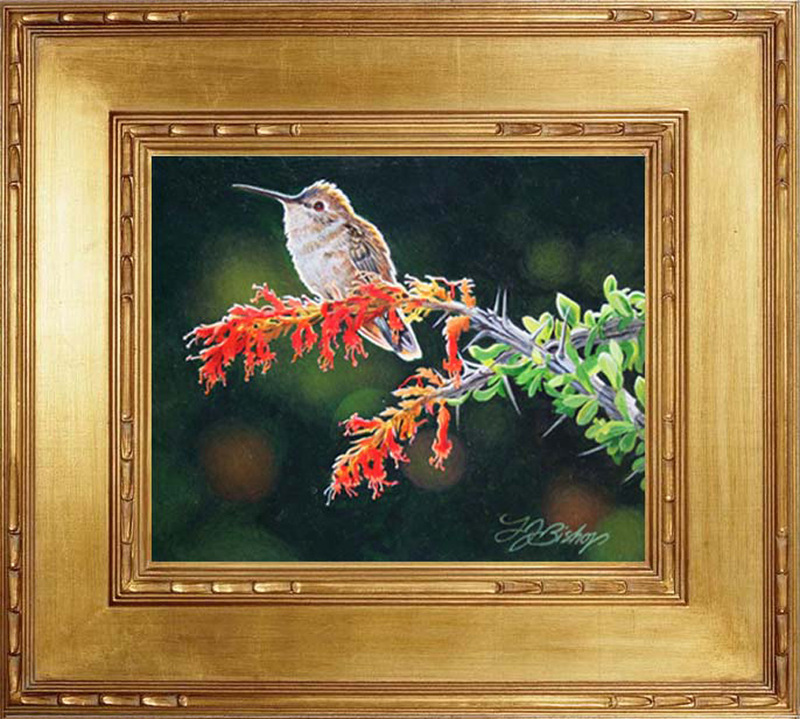 Black Chinned Hummingbirds can be seen throughout the Southwest in mid, to late spring, they’re quite common, being frequent visitors to any nectar bearing, flowering plants, or just flitting between the various flowering cacti & desert plants…. As well, they can be found busily feeding in the numerous flower gardens and nectar jars that are now common in nearly every yard. 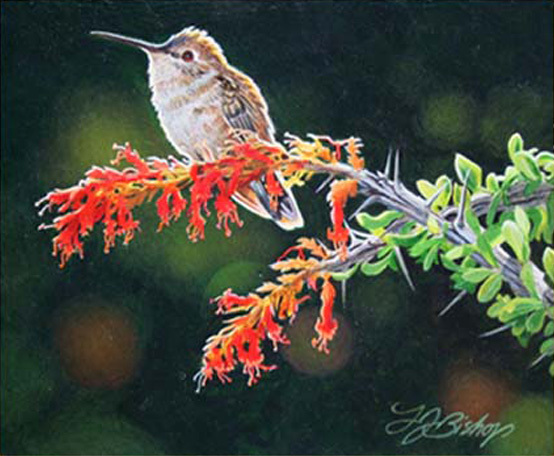 The little Black Chinned female that I painted in this piece, is quietly sunning herself on the tip of a flowering Ocotillo cactus. She and I struck up a friendship after she had nested in a nearby Oleander bush …without fail, she would greet me every morning when I would move to my patio to have my first cup of coffee…buzzing close to my face she would always look me straight in the eye before she would land in her favorite sunning spot on the tip of the Ocotillo branch that was closest to where I was sitting…..